I’ve been infatuated with hand embroidery and dimensional appliqué on knitted fabric over the past week. Now it’s time to get back to my knitting if I want to complete the Doocot during the month of November. 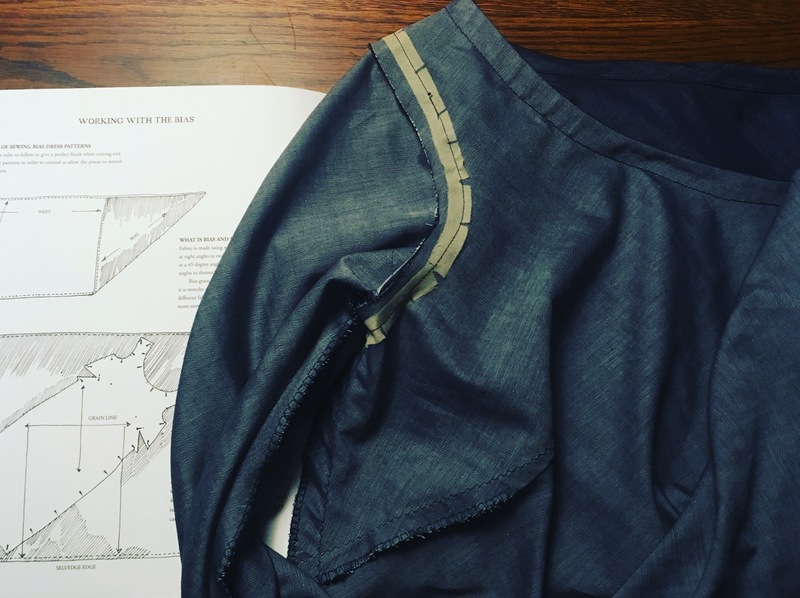 The series of photos below shows the details of my latest sewing project, the Haremere jacket, from Merchant & Mills’ Workbook. 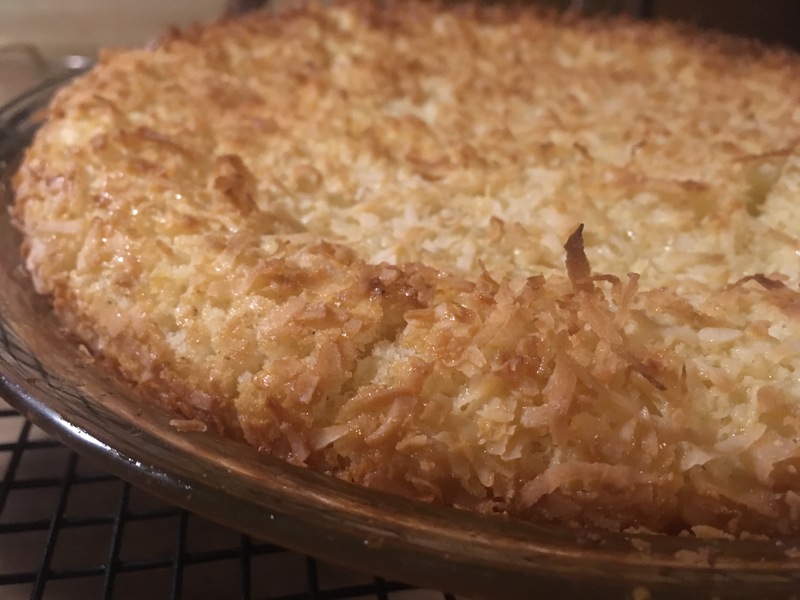 To date, this is the most complex pattern I have attempted. 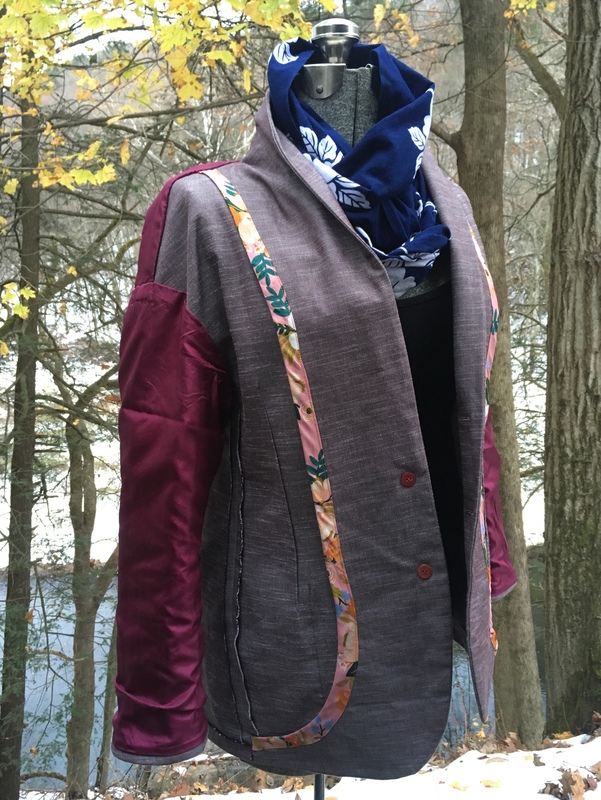 I’m pleased with the results, and you can see by the photos that I’ve been wearing this jacket — a lot! For the most part, I found the directions clear and easy to follow. 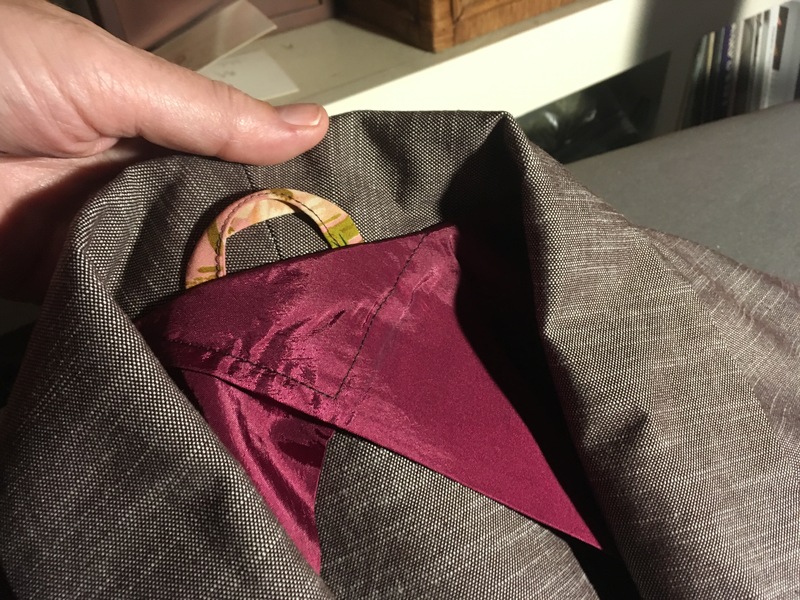 The sleeve directions had me scratching my head though, and I’m not sure that I made them as directed; my sleeve does not look like those pictured in the book. 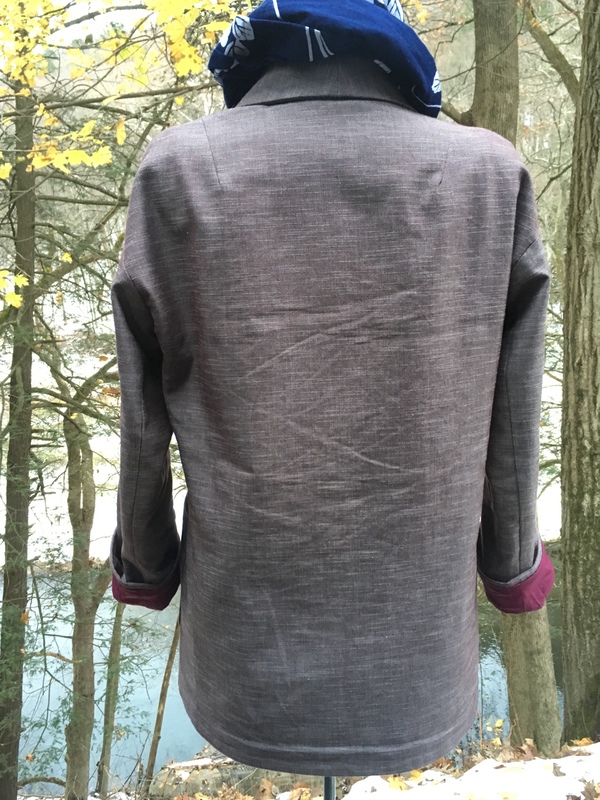 I made the size small, and it’s a very good fit through the body. The length is perfect. The sleeves are a bit short. 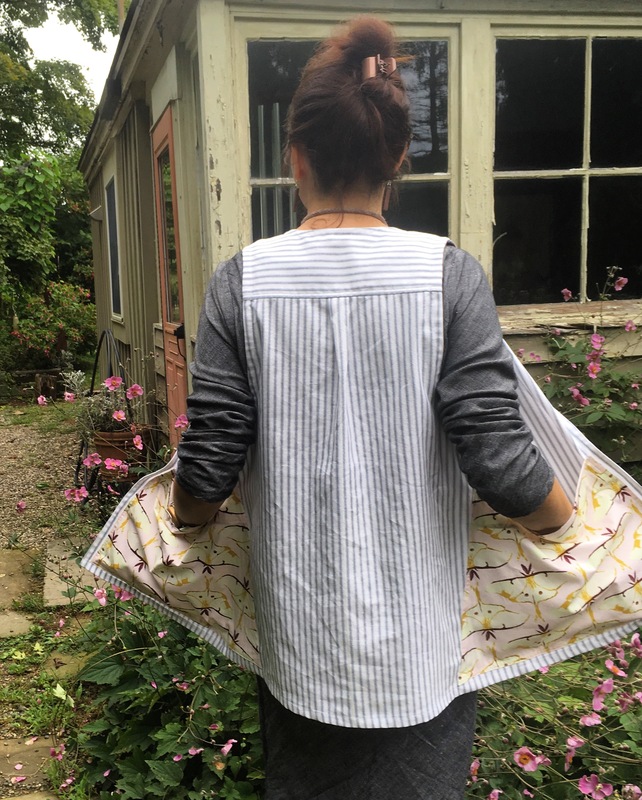 When I make this again I will extend the sleeves to the medium length. 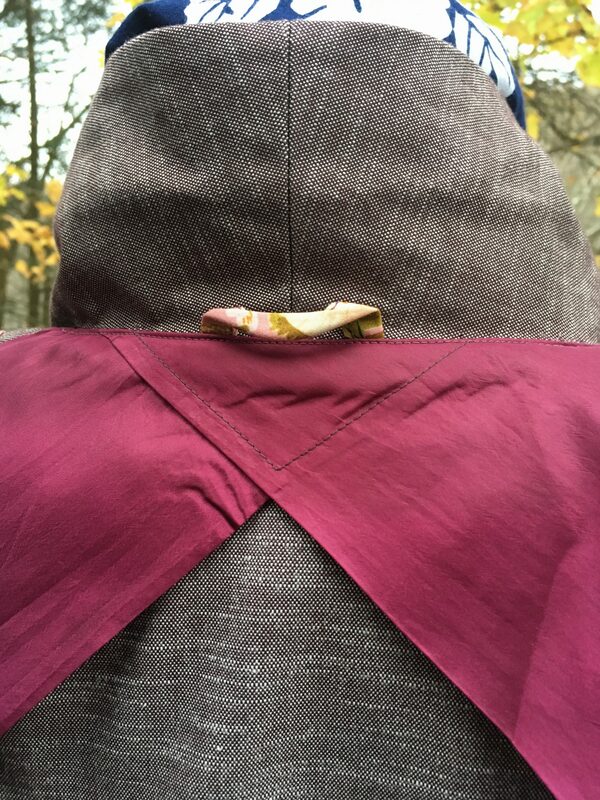 I love the lined and roomy pockets, as well as the softened shaping throughout, plus little details like the loop to hang the jacket. 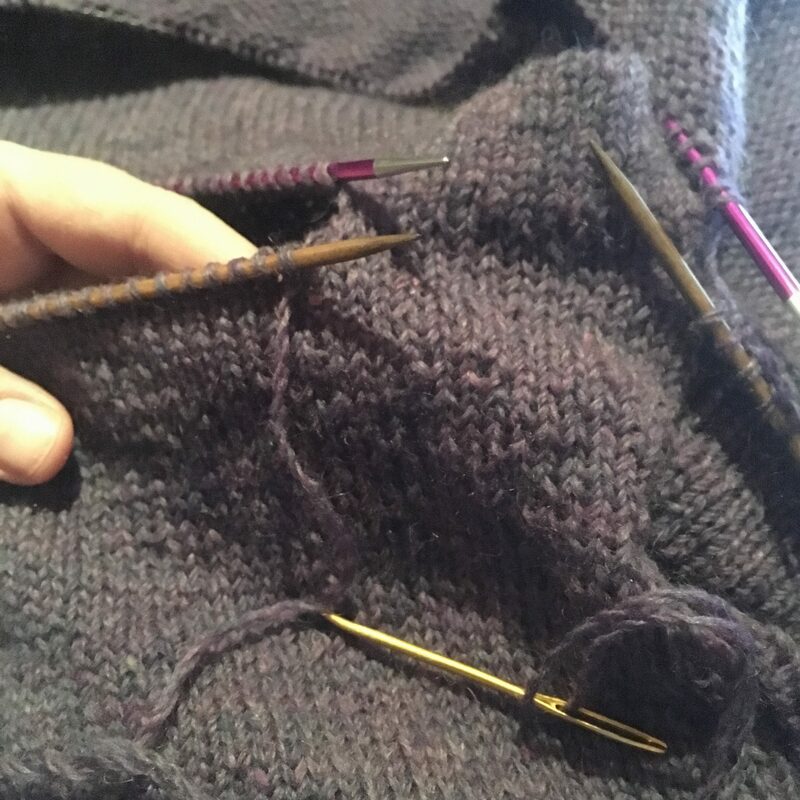 Here’s a shot of my Alabama Chanin style knit scarf in progress. I was introduced to a new word — quipu, which has been described as a textile version of an abacus, used by ancient Incas to record information and calculations, as they did not have a system of written language. You can find out more here. 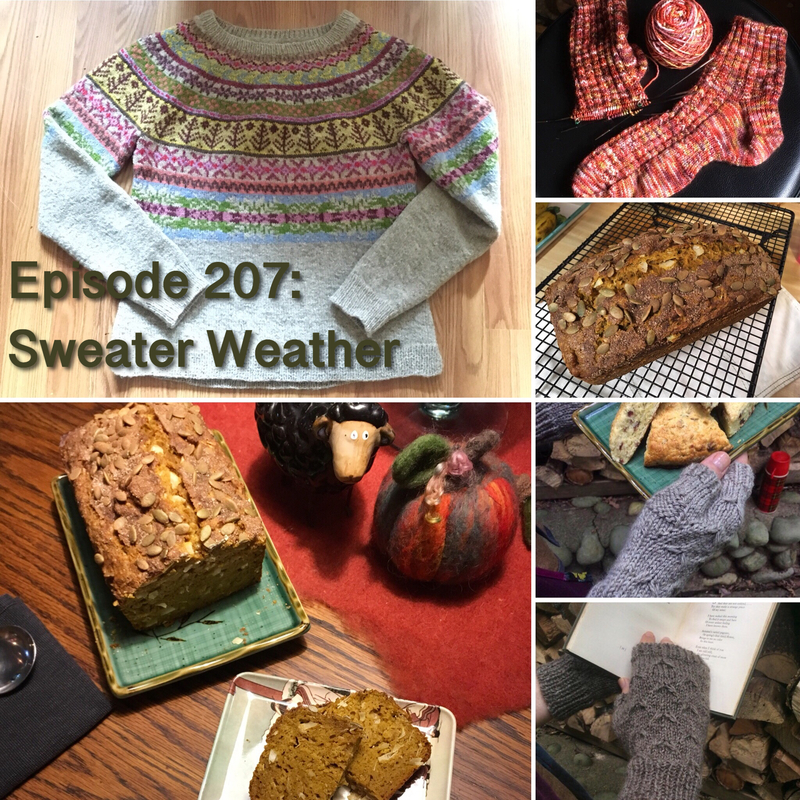 The gift of a pattern and inspiration from a new book are just what I needed to revitalize my making this week. For the second time, I’ve completed the Lotta dress. 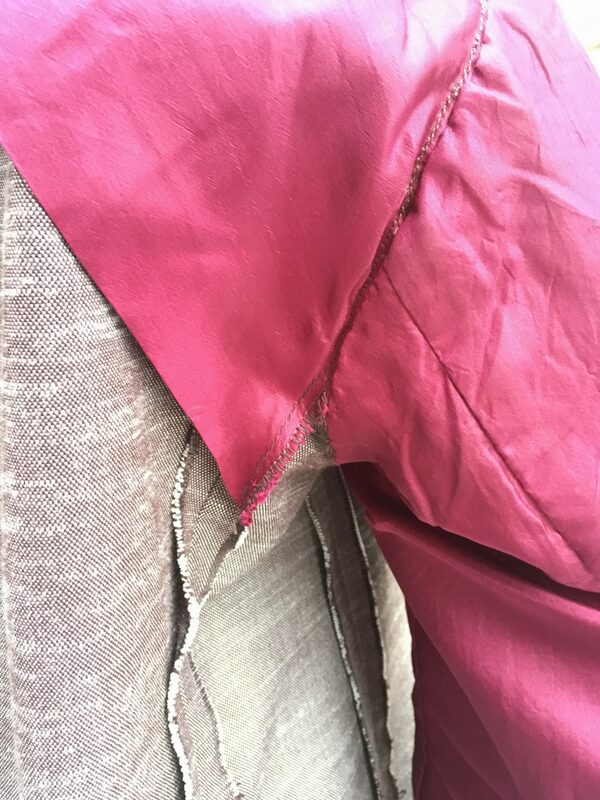 I’m much happier with the result after making a repair to correct color and extend the length of the dress. First, is the “before” photo, taken in August. Note the pink band at the hip and the tunic length. 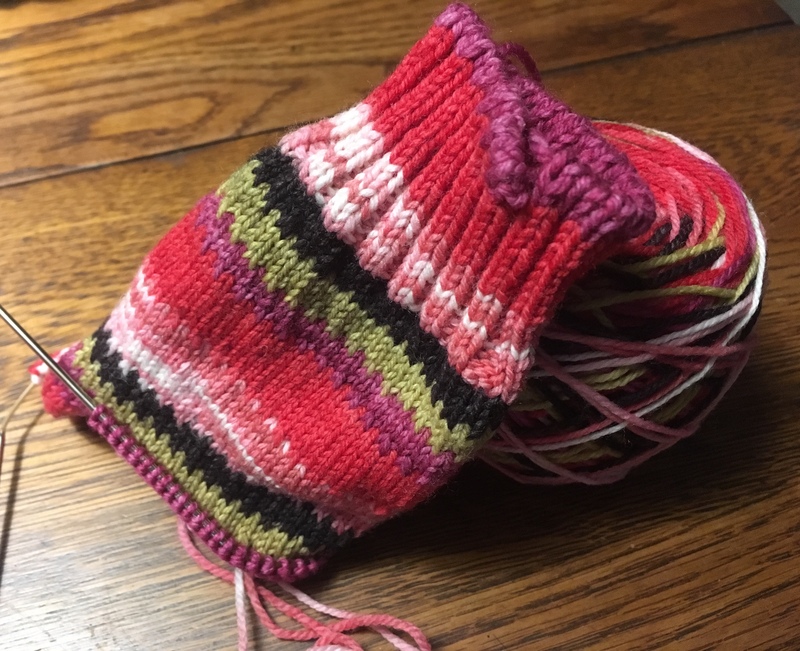 After snipping into the dress below the part I wanted to remove, and unraveling, I knit 5″ of stockinette fabric, alternating skeins. 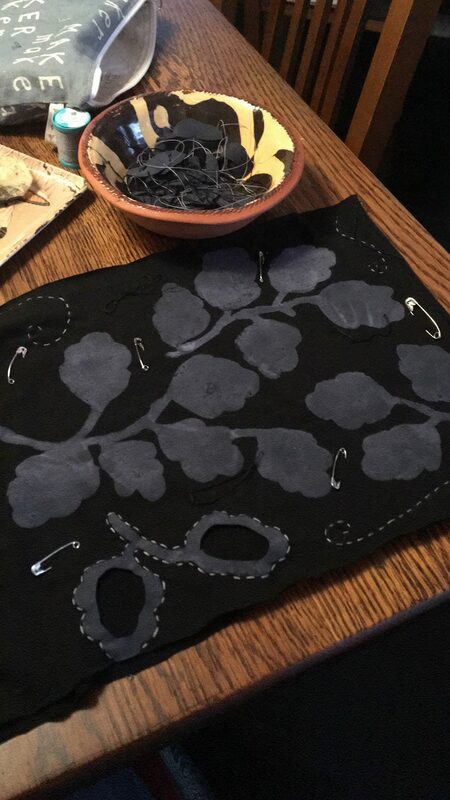 Then, I grafted the pieces together. 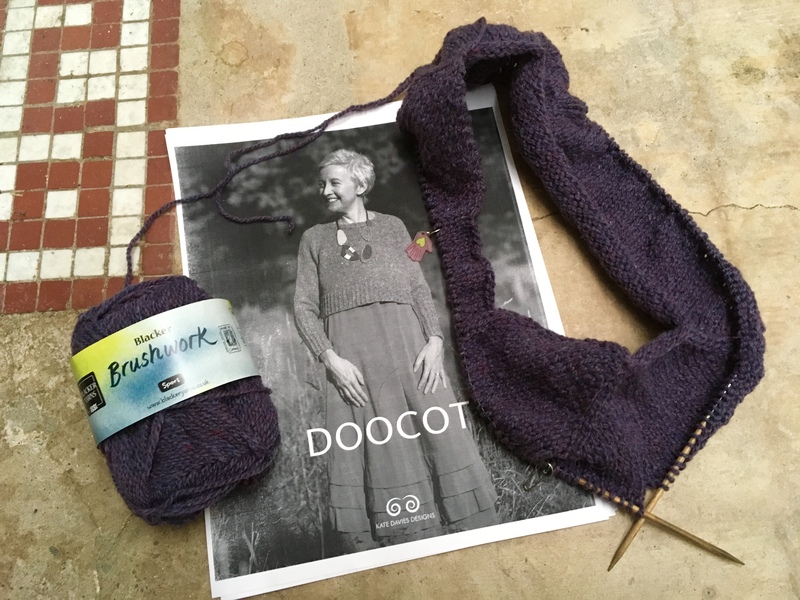 I’ve begun knitting Kate Davies’ Doocot design, and hope to complete a dress or perhaps tunic-length garment by the end of November. 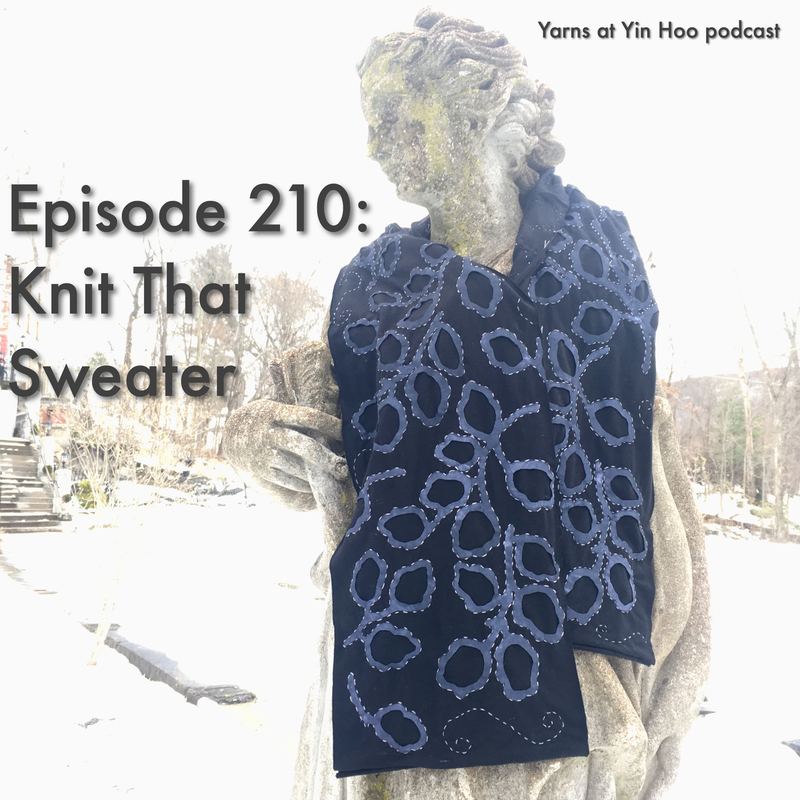 The yarn is dreamy Blacker Yarns Brushstroke in a plush purple color and the pattern was a surprise gift from thejasperpatch. 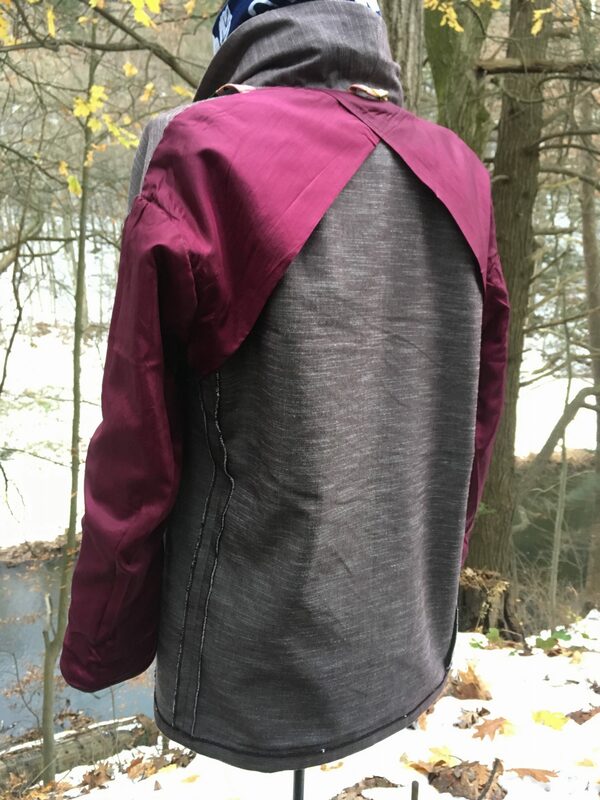 Progress on Haremere, a jacket design from Merchant & Mills. I hope to complete the project this weekend. 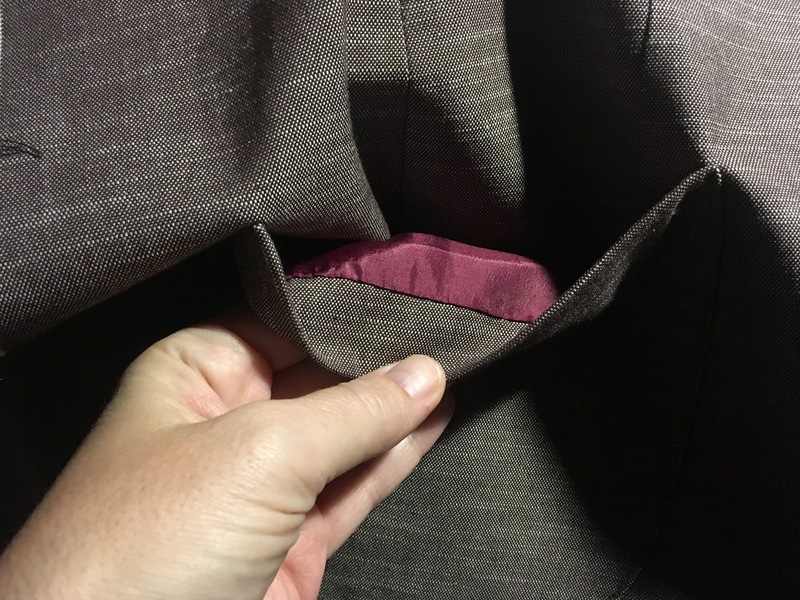 I just love some of the details of this quarter-lined blazer: lined pockets, finishing details, and a loop to hang it up. 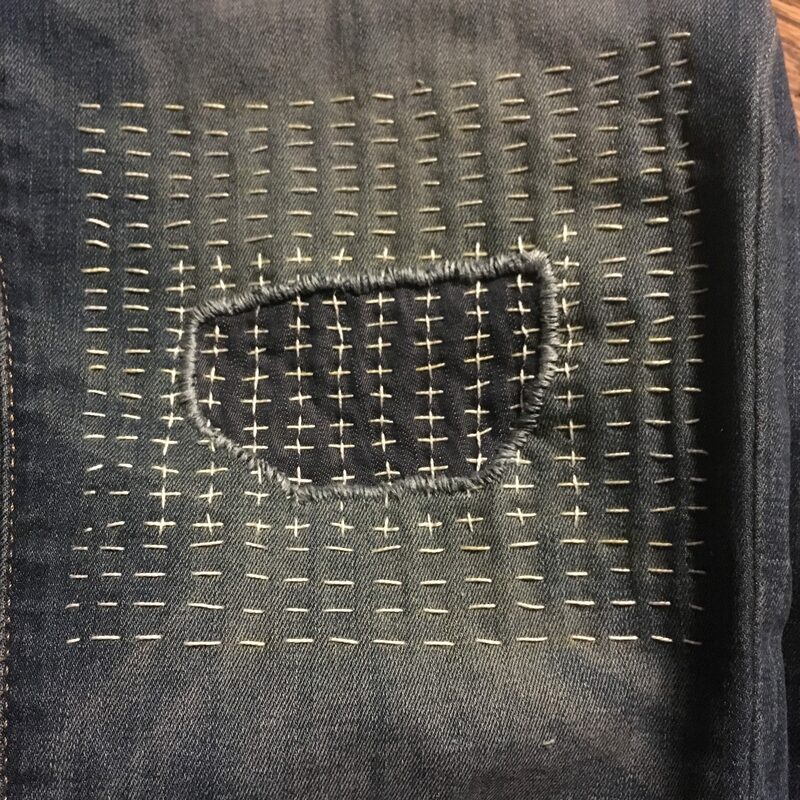 After collecting the materials for visible mending this summer, I did nothing on the project until paging through Katrina Rodabough’s Mending Matters. 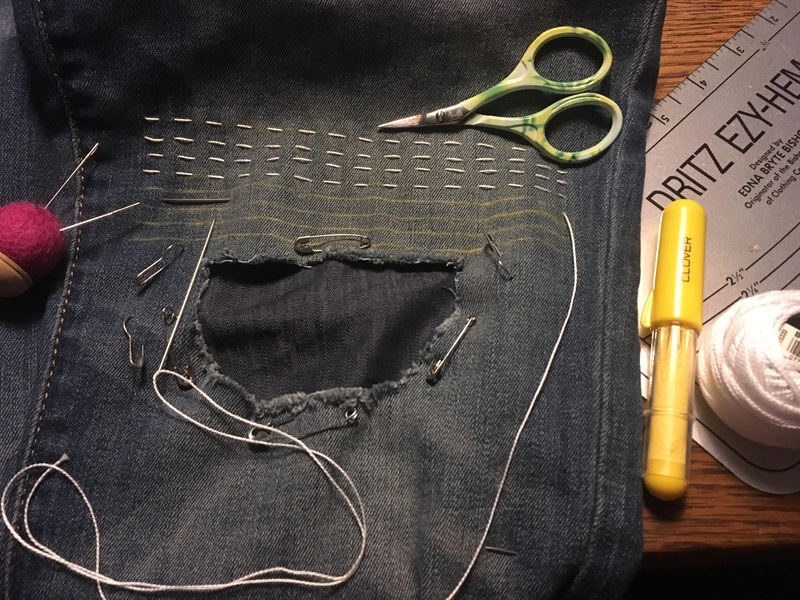 Since then, I’ve been making repairs and refining my technique. 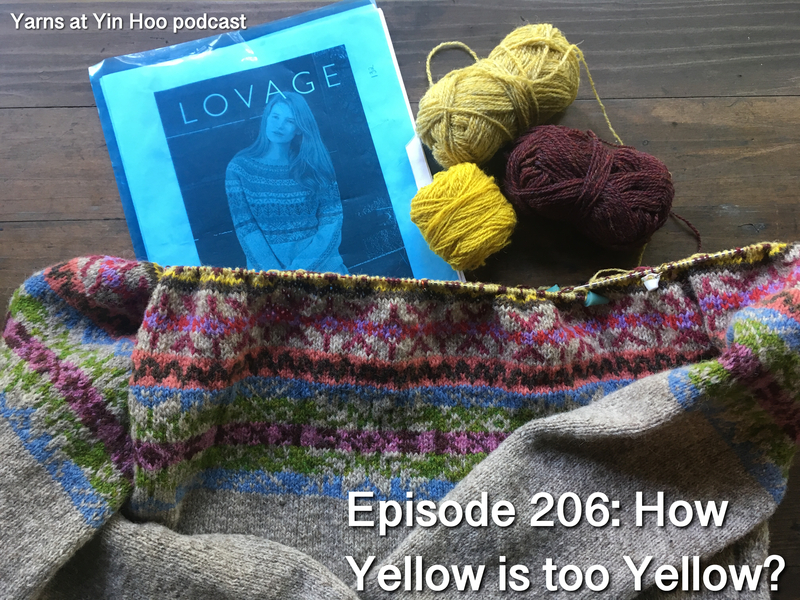 Though I had been familiar with the work via Rodabough’s IG feed and her interview on the Love to Sew podcast, I was missing the “how to” steps I needed to get going. For those who are confident stitchers, this is a pretty book of quotes and pictures, but for the true beginner, it can be a useful guide. 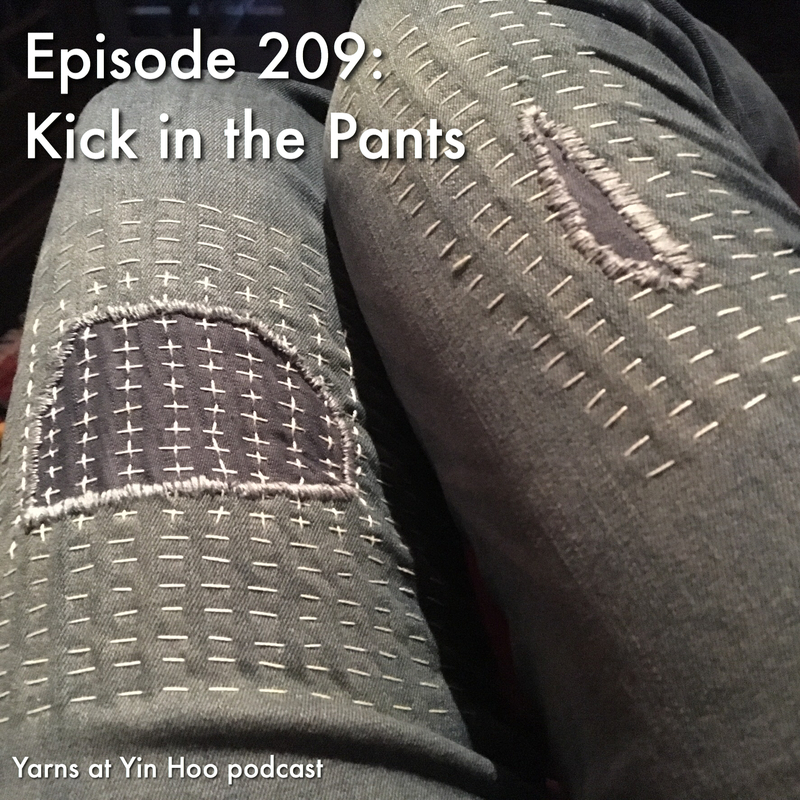 Success mending one garment gives me the courage to snip into another on this week’s episode. 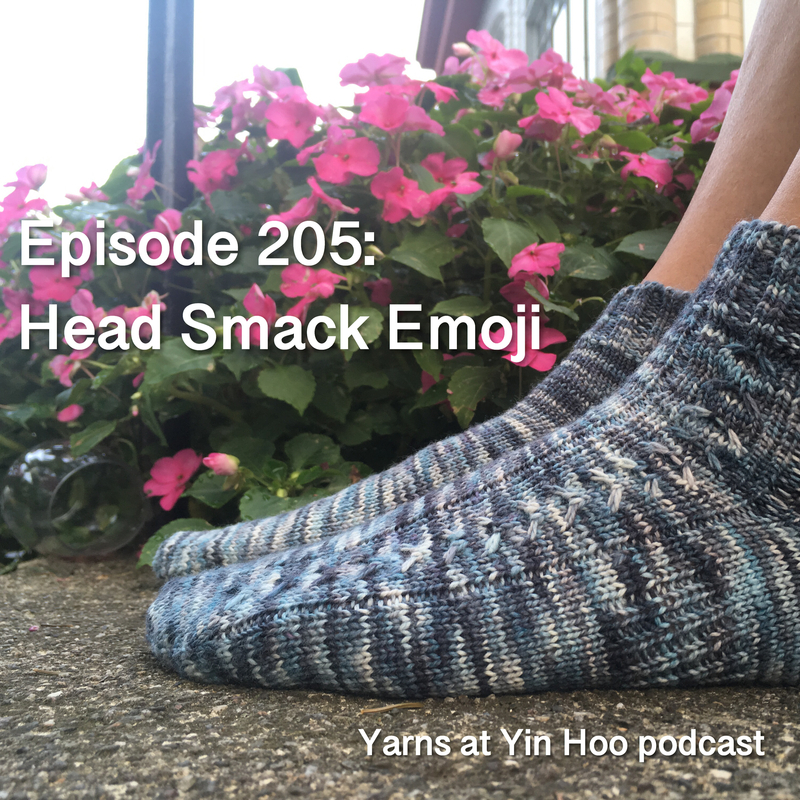 I talk about new patterns in my queue, yarns I’m itching to knit with, and my adventures at NYS&W with Samuel. Mending is a theme, but I forgot to mention that I purchased Katrina Rodabaugh’s new book. 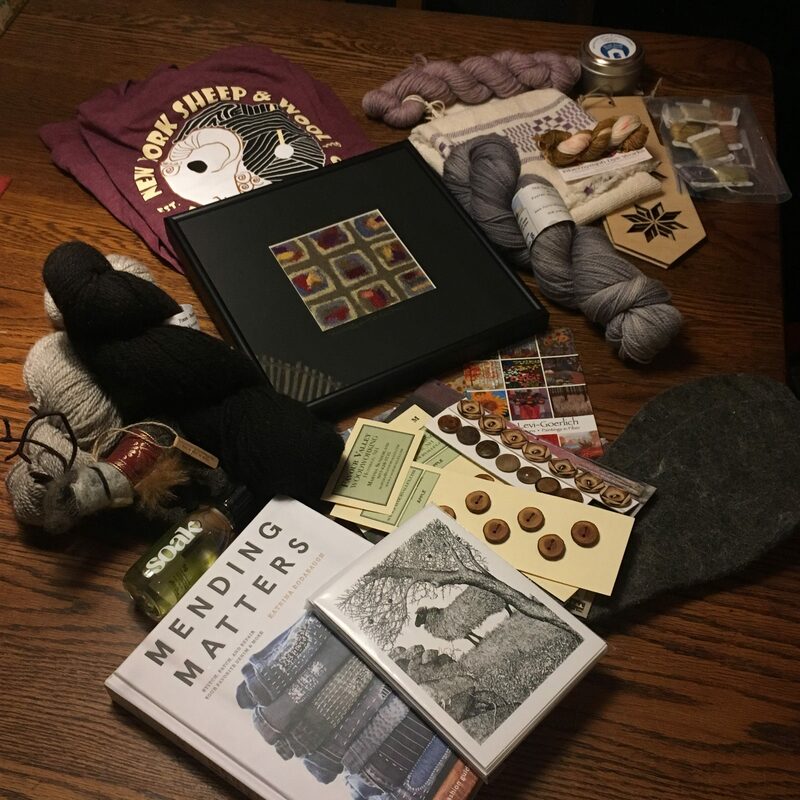 Thank you for your generous donations to Elysa’s Knit Happens to Help project. They have been coming in all summer until I took a trunk full to school. Elysa will accept donations until Halloween. 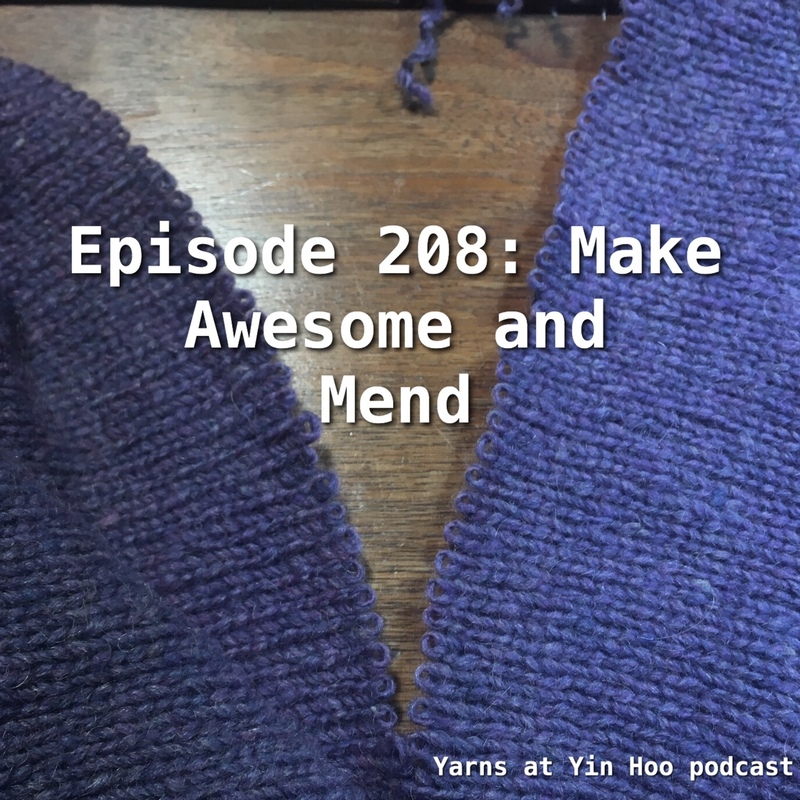 If you want to learn more about the project, give Episode 198 a listen. 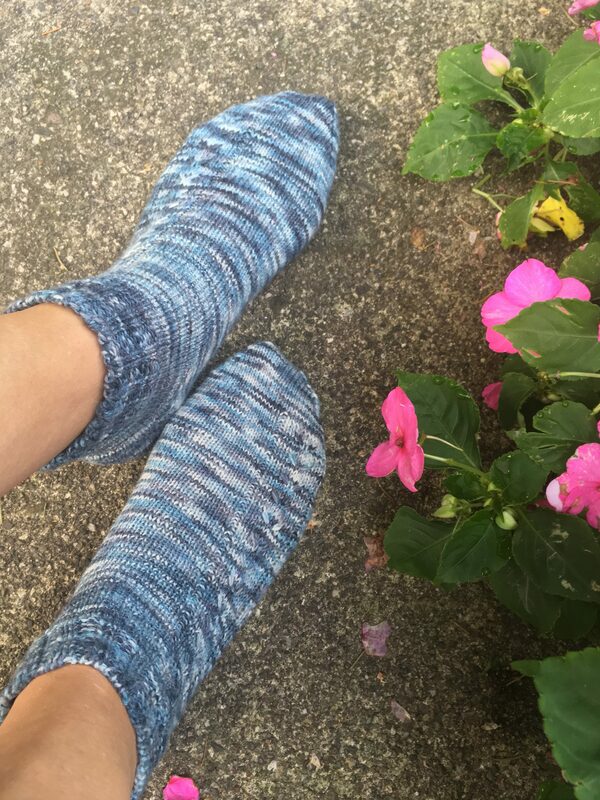 Your purchase of the Humblebee sock pattern during the August sale enabled another donation to Heifer International. Thank you! 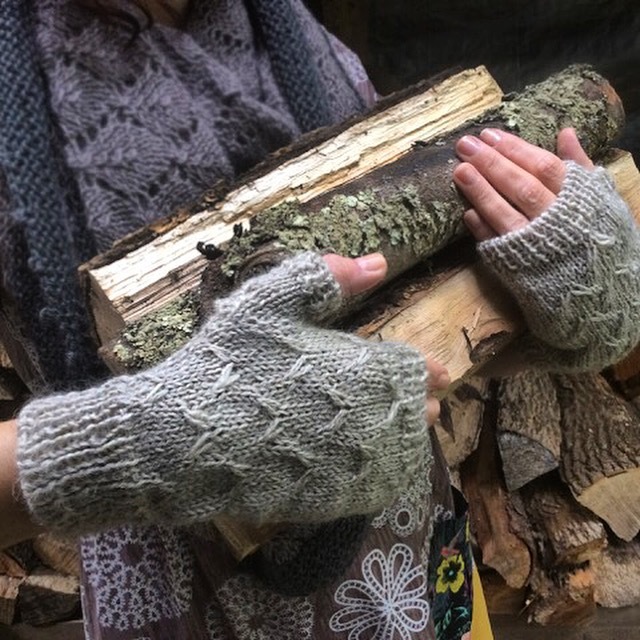 Look for the Humblebee Mitts coming in early October! 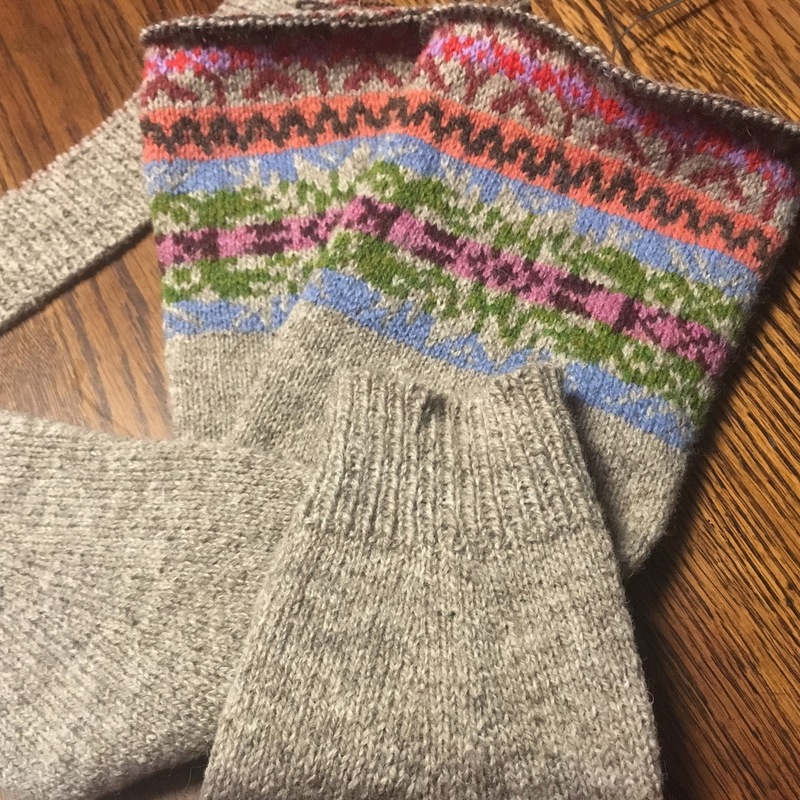 I will need a few very quick test knitters to try out this design at the end of September. You need DK weight yarn and US 4 needles. 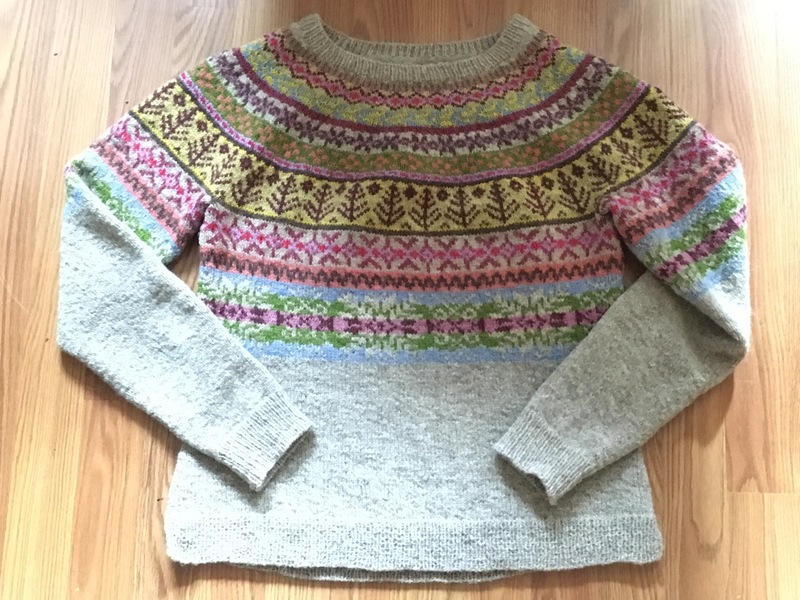 Let me know if you’re interested by sending me a PM on Ravelry. 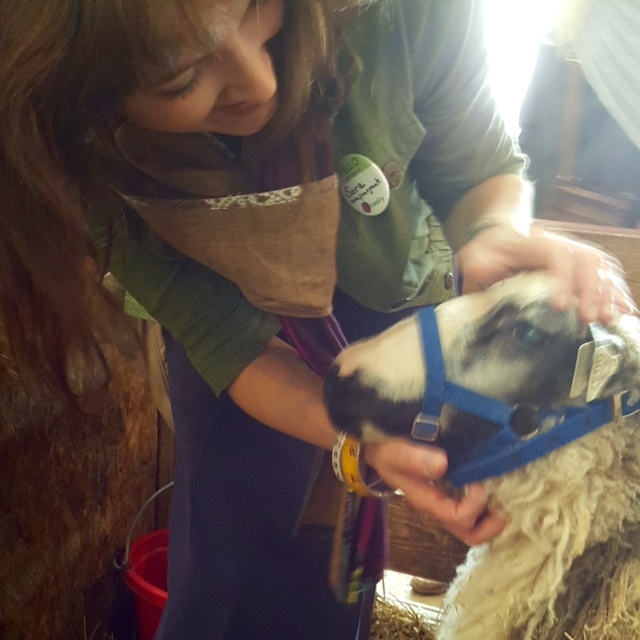 I’ll be facilitating a Fleece to Finished Object course at Hope’s Favorite Things in Richmond, PA. Over a series of four sessions, we will work with beautiful Jacob fleece from nearby Spring Hills Farm, and develop a garment or accessory of our own design. We will honor process over product, and learn together. Contact me if you have questions, or call Hope’s shop to sign up! 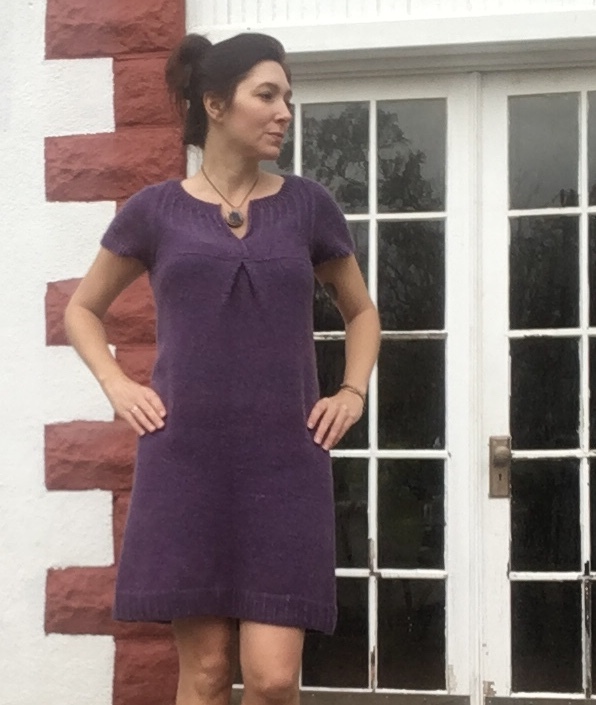 My Lotta dress is complete. 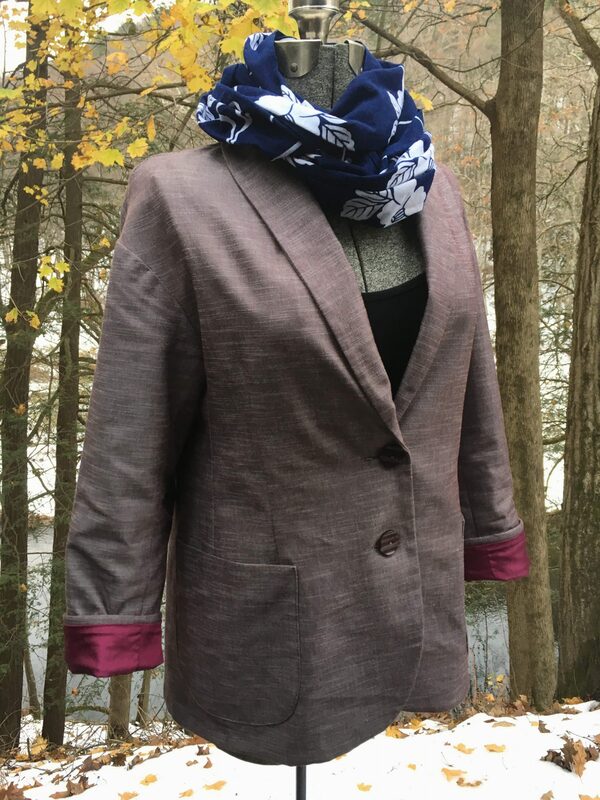 I love the fit, and all of the beautiful ktbl details; I love the fabric created by Beaver Slide Dry Goods’ wool / mohair blend — but can you see the fuschia blush around the hipline? Head smack! 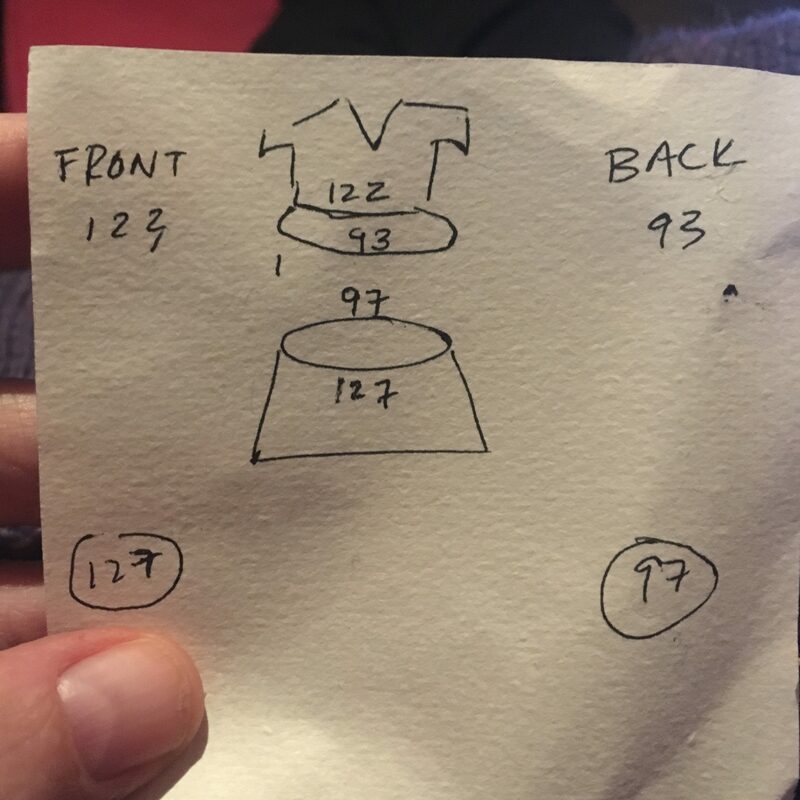 I’ll be running through solutions as I work on my Rhinebeck sweater, and with any luck, I’ll have time to fix this dress! 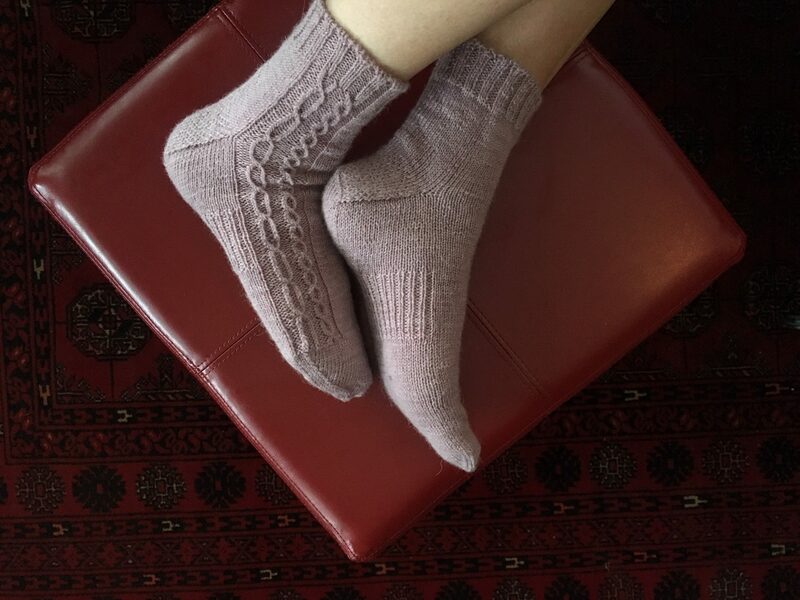 I’ve been playing around some more with the back detail of my Humblebee sock pattern, incorporating it as a side panel on some shortie socks for my mother. This time, I made anatomically-suitable toe decreases on each sock. 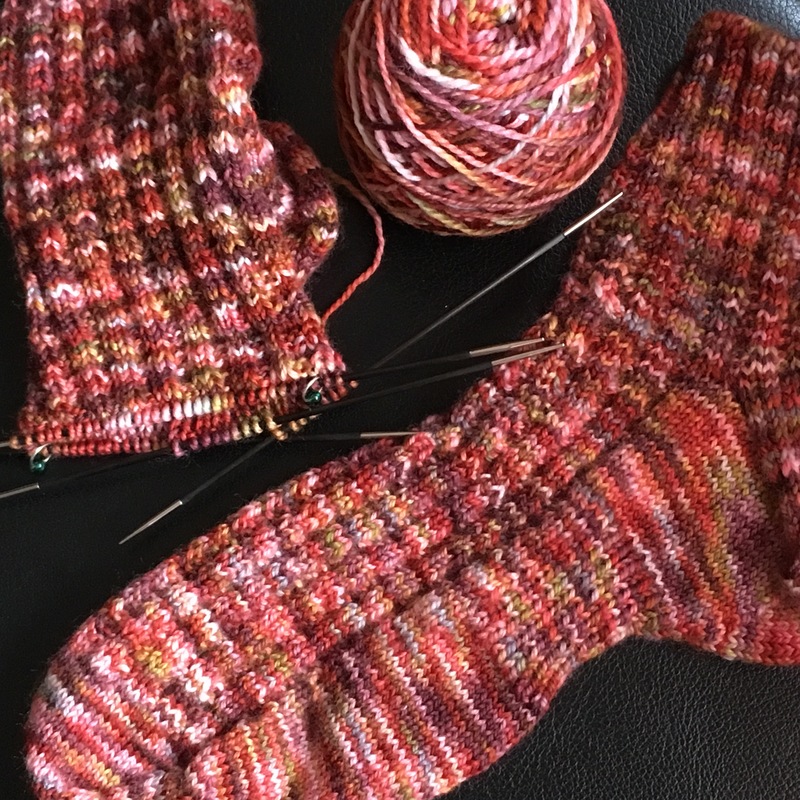 I’m quite pleased with the result and intend to work on this more for a future sock design. 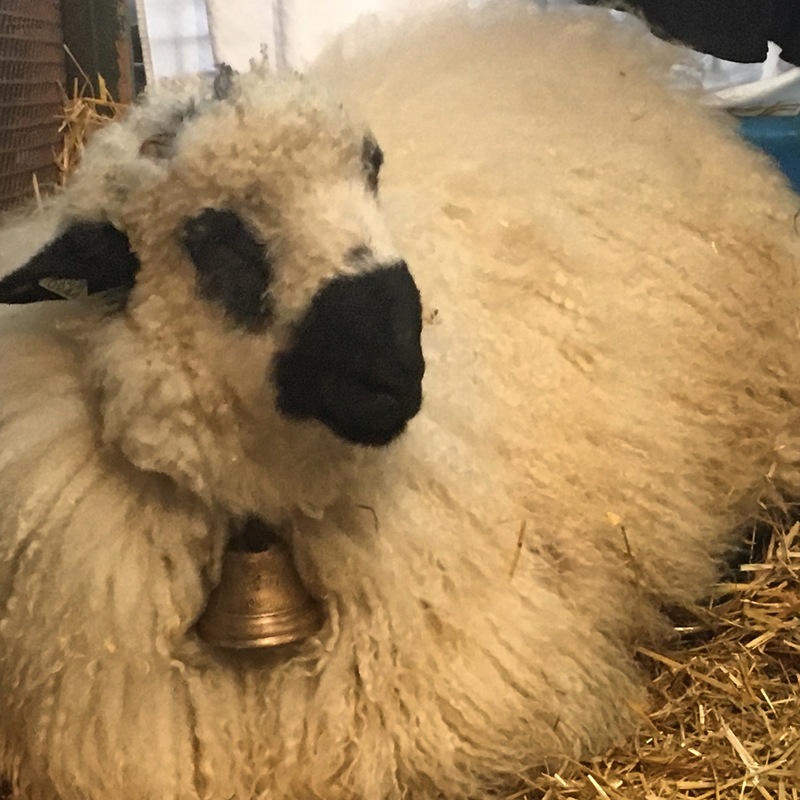 The yarn is Foster Sheep Farm‘s Northumberland Sock. I love this yarn, and Carole’s amazing colors. 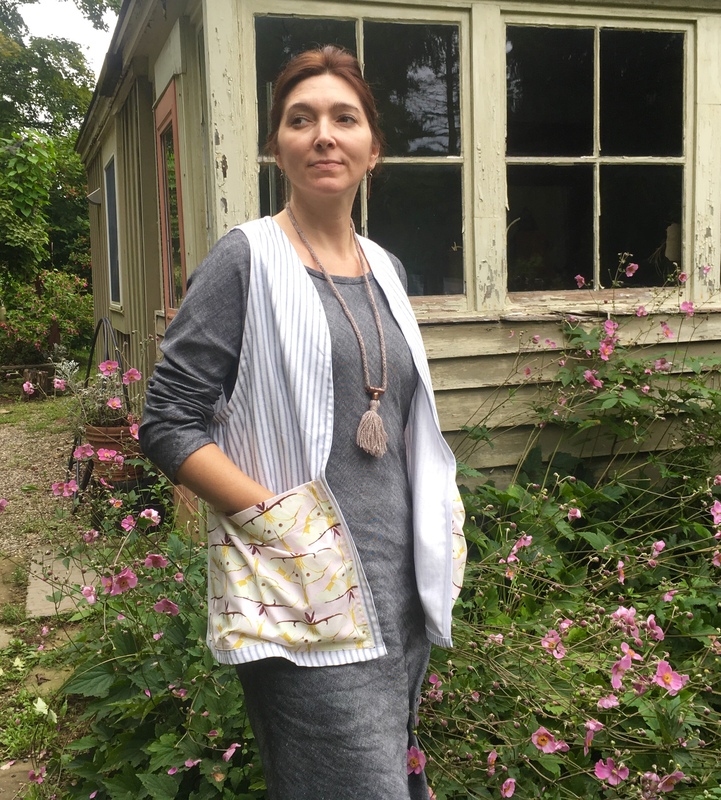 My objective is to finish Lovage by October 16 and wear it proudly to Rhinebeck. To accomplish this task, I’ve set a number of mini-goals, including completing the sleeves by Labor Day. Next, I need to knit the MC body and start the colorwork by mid-September. Despite the self-imposed pressure, I’m really enjoying this knit with Jamieson & Smith’s Shetland Supreme and their 2-ply jumper weight. 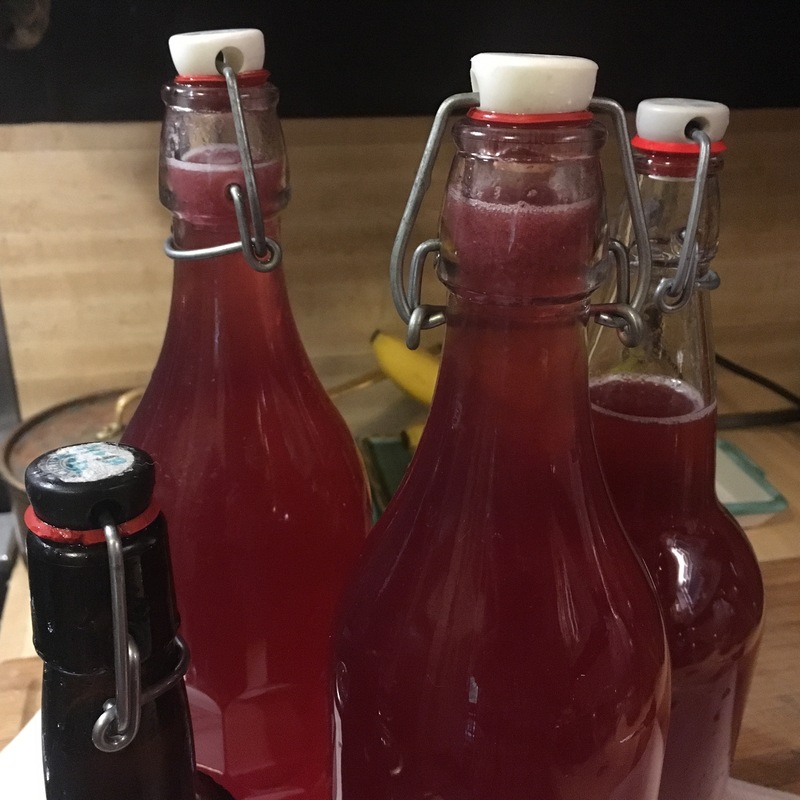 There’s still some work to do before the year of fermented foods comes to a close, but one constant has been my batch of water kefir, that I’ve been putting to a second fermentation and harvesting every week since January! By far my favorite flavor is blueberry-ginger. Just look at the gorgeous pink color. And it’s refreshing and delicious, not as sour as kombucha. 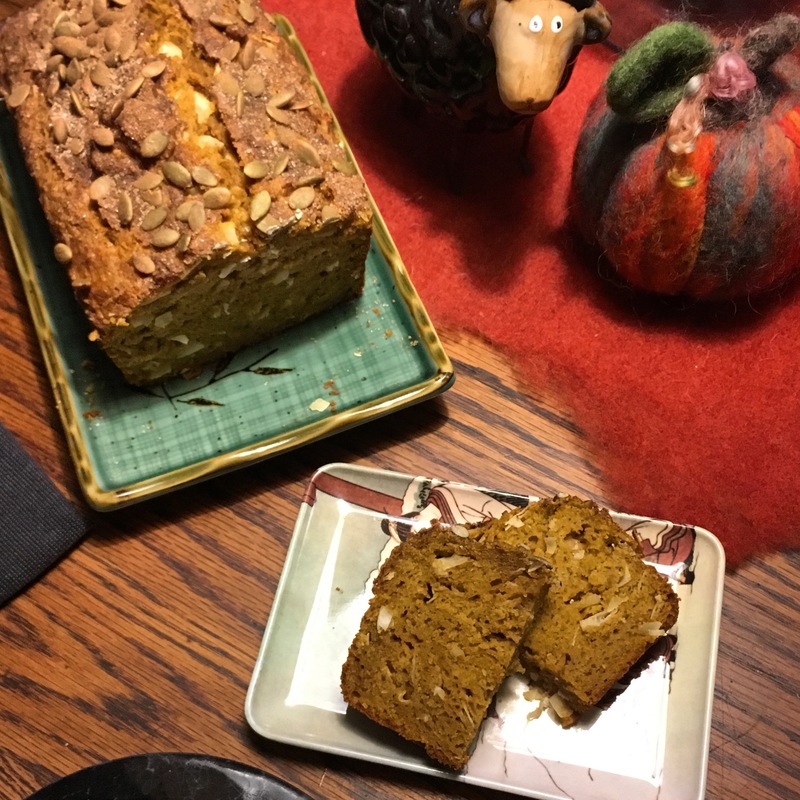 I’m working my way through the patterns in Merchant & Mills Workbook. 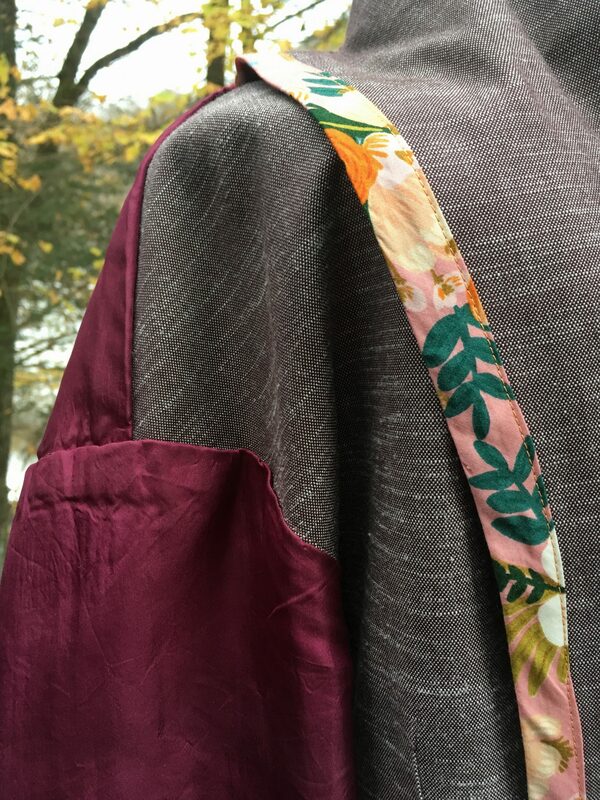 This is my second Curlew dress, and I’m enjoying the challenge of working with fabric that has been cut on the bias. 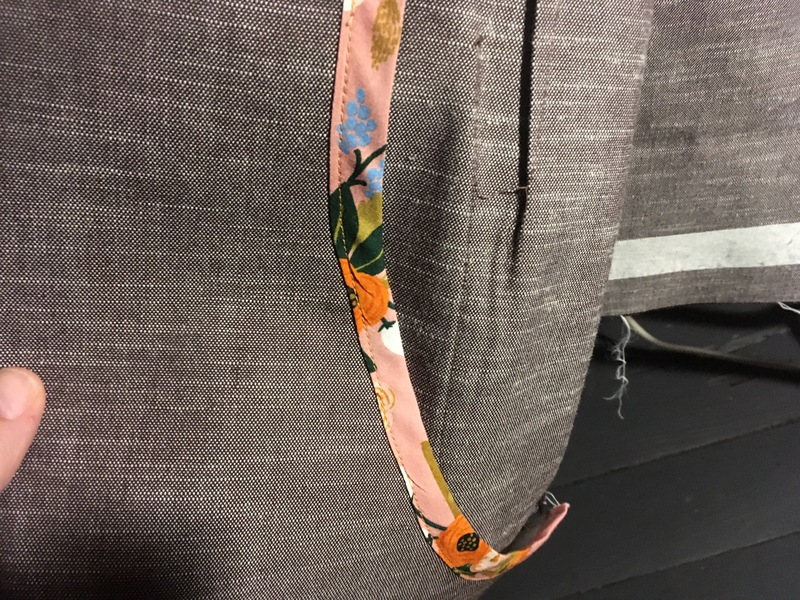 I’ll be posting daily to the #sewphotohop and #sewphotohop2018 hashtags during the month of September, sharing my story and meeting other sewists from around the globe.